The S.S.I.O. 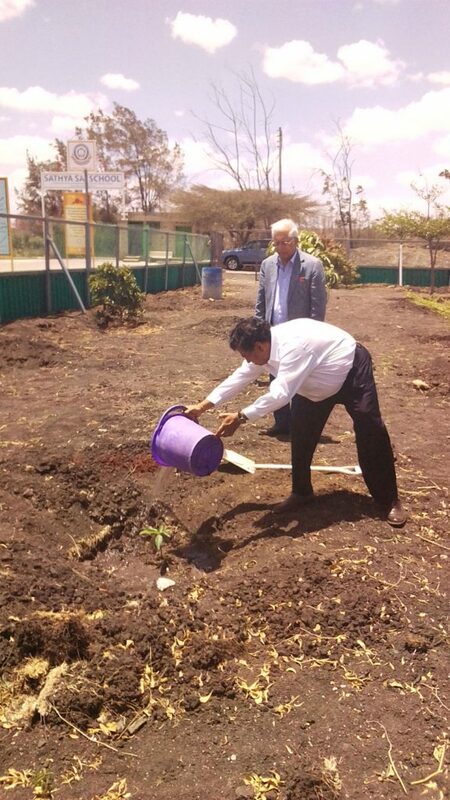 Chair for Zone 9A, Africa, Mr. Ramesh Hathiramani, arrived on the school grounds at 9:30 am, accompanied by one of the school’s trustees, Mr. Sambasiva Rao. 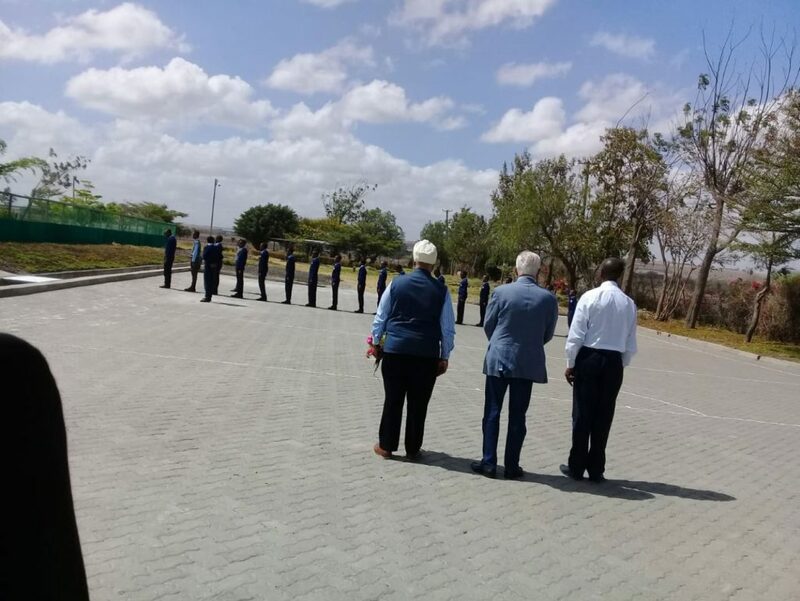 They were warmly received by the Chairman of the Board of Trustees Mr. Kuldip Singh, Mr. Kennedy Mosongo, the School Principal, the teaching faculty and the students. Madame Frida Ondieki with 3 gents from the primary section presented a bouquet of flowers to all the guests. 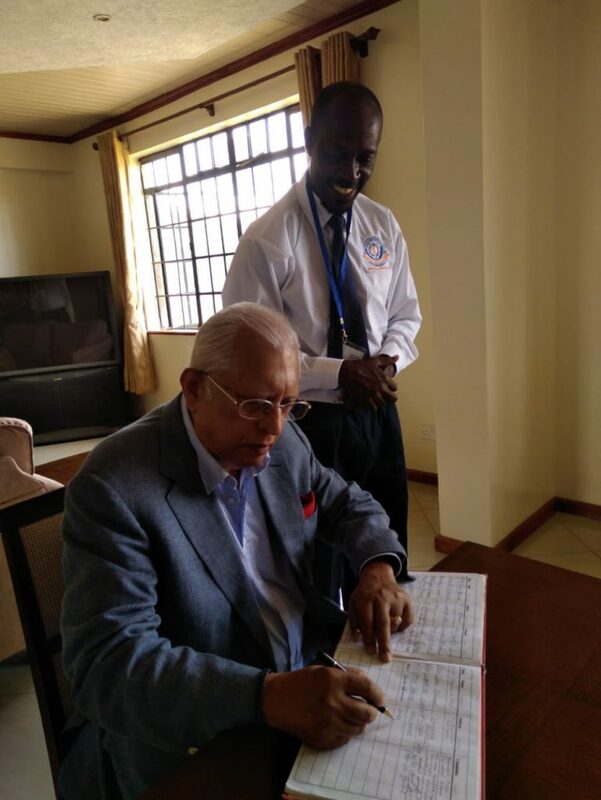 Principal Mr. Kennedy Musongo introduced the guests to all the Educare practitioners at Sathya Sai School – Kisaju. The students sang a few value-based songs to welcome the guests. Following the songs, Mr. Hathiramani briefly addressed the assembly whereby he expressed his happiness and joy for being with the whole student body, the teachers and the Sathya Sai community. The entire parade then moved near the flag post where Mr. Hathiramani inspected a guard of honor mounted by the scouts. The scouts then raised the school flag. The Zone chair getting ready to inspect a guard of honour mounted by the scouts. Mr. Hathiramani, Mr. Kuldip Singh, Mr. Rao and Mr. Amardeep (Trustee and School Financial Director), then moved to the boardroom for a trustee meeting. Mr. Hathiramani and Mr. Rao signed the visitor’s book during the meeting which continued till around Noon. The Zone Chair signing the visitor’s book. 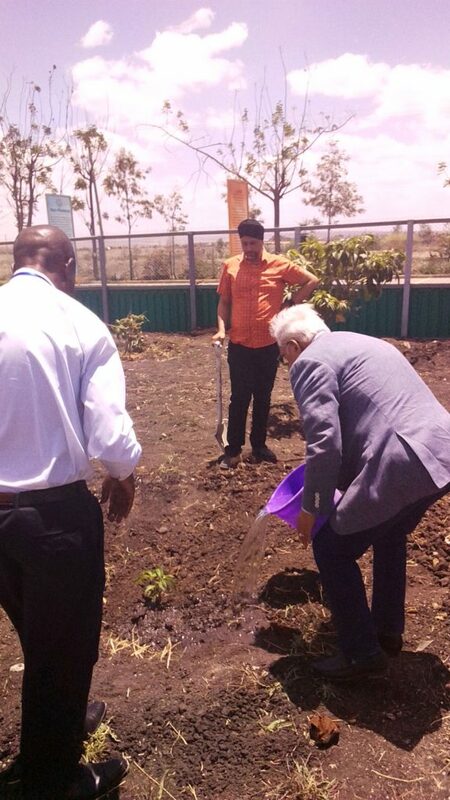 After the meeting, Mr. Hathiramani, accompanied by Mr. Kuldip Singh, Mr. Amardeep, and Mr. Rao went on a school tour of the secondary school and the school farm. The whole group then assembled at the Mango orchards where Mr. Hathiramani and Mr. Rao each planted a mango tree under the guidance of Mr. Amardeep. 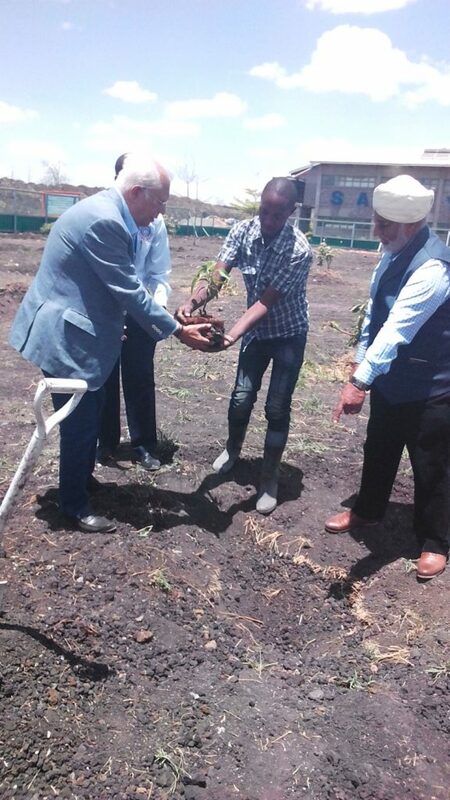 After the tree planting exercise, Mr. Hathiramani and Mr. Rao were escorted to their vehicles by Mr. Kuldip Singh and Mr. Amardeep. They took their leave at around 12:30 pm. 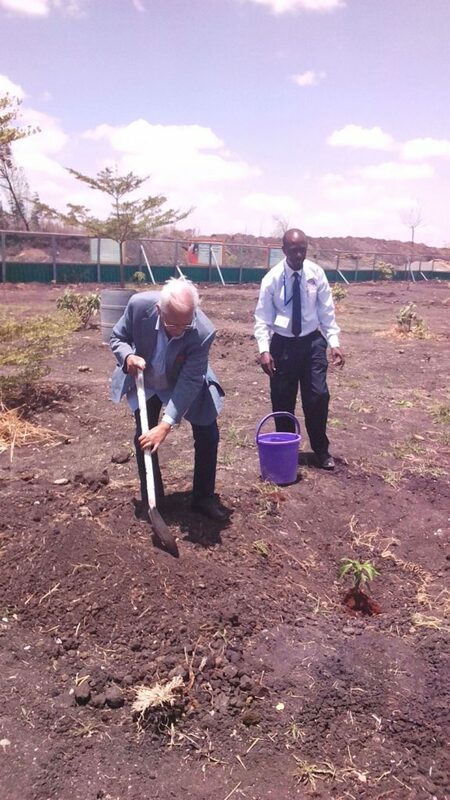 Mr. Kuldip Singh and Mr. Amardeep left a few minutes later. The regular school routine continued upon their departure. Principal, Sathya Sai School Kisaju. "The whole world is Reflection, Reaction & Resound."